The Supreme Court on Thursday dismissed the bail application filed by the accused in the IC 814 Kandahar Hijacking case, Abdul Latifa Adam Momin. 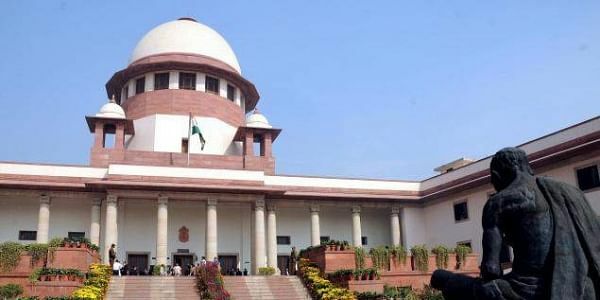 NEW DELHI: The Supreme Court on Thursday dismissed the bail application filed by the accused in the IC 814 Kandahar Hijacking case, Abdul Latifa Adam Momin. A division bench of the Apex Court, headed by Justice Rohinton Fali Nariman and comprising Justice Naveen Sinha, refused to grant bail to accused Momin, after finding no merit in his plea. IC 814, an Indian Airlines Airbus A300 en route from the Tribhuvan International Airport in Kathmandu, Nepal to Indira Gandhi International Airport in Delhi, India was hijacked on Friday, December 24, 1999, shortly after it entered Indian airspace. Harkat-ul-Mujahideen was accused of the hijacking. The motive for the hijacking was to secure the release of three militants – Mushtaq Ahmed Zargar, Ahmed Omar Saeed Sheikh and Masood Azhar. The hostage crisis lasted for seven days and ended after the government agreed to release the three militants. These militants have since been implicated in other terrorist actions, such as Mumbai terror attacks. There were 191 passengers on board including 15 crew members, where one person was stabbed, who succumbed to his injuries, while several others were wounded.